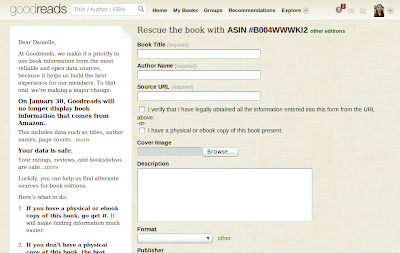 This blog will explain how to rescue your book from being removed on Goodreads. Previously, Goodreads received information from Amazon such as book descriptions, author and publisher info, and book covers. In order for you to edit the details of a book, you must first verify with Goodreads you are the author of the book. 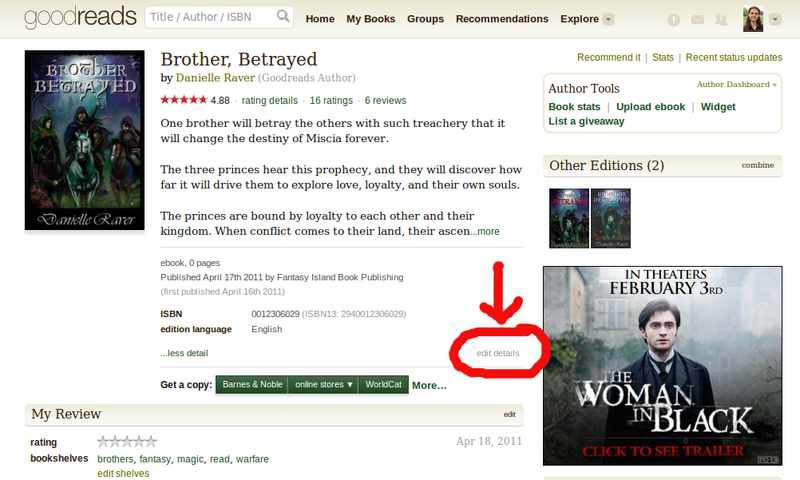 Do this by clicking your author name on the Goodreads book page, scroll down to the bottom and click "Is this you?" 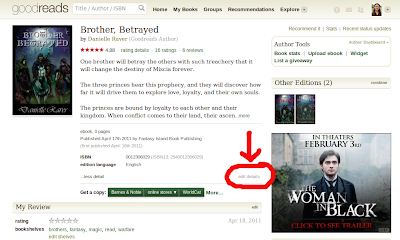 Goodreads will send you an email to confirm and then in a day or two Goodreads will verify you are the author of the book and allow you to edit the details. First, gather all the important information, such as publication date and product description. Also, have a picture file (.jpg or .png) of your cover image save to your hard drive. 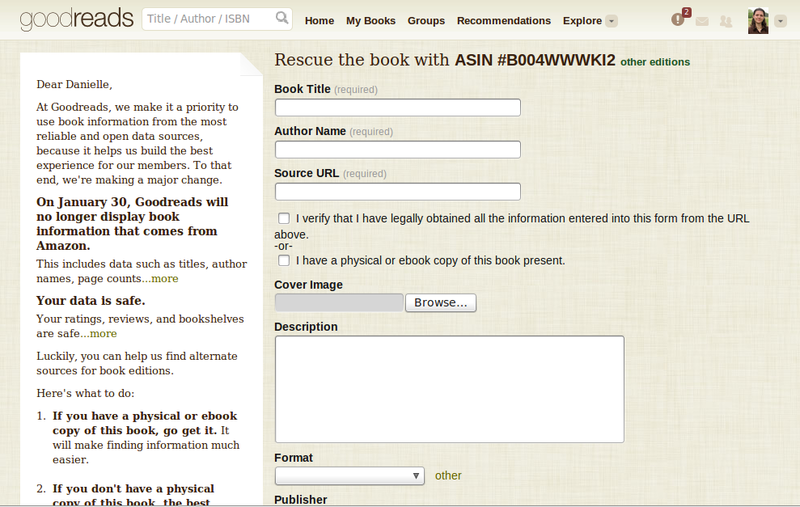 You may or may not be directed to a page that reads "Rescue the book with ISBN/ASIN #....."
Fill out the details in the fields. NOTE: Do NOT use Amazon as the source URL. 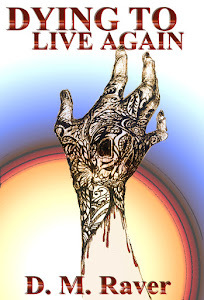 I used my publisher's web address. 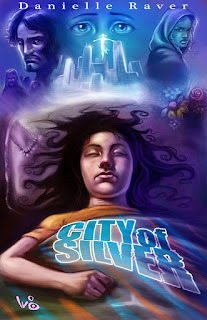 You could use another site's url if you book is currently published through Barnes and Noble or another book site. If you are the author, I personally think you could use your own website as the source url (since it's your book!). 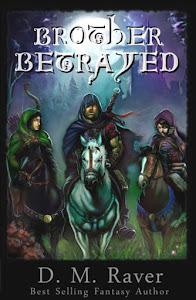 Possibly even shelfari.com or another book information site, though I haven't tried it. NOTE: The url may have to be written with http://www. (site).com for Goodreads to accept it. Is it because of copyright or licensing? Thank you for your help in this! This is very unfair of them to do this, and they should endure bad karma for it! 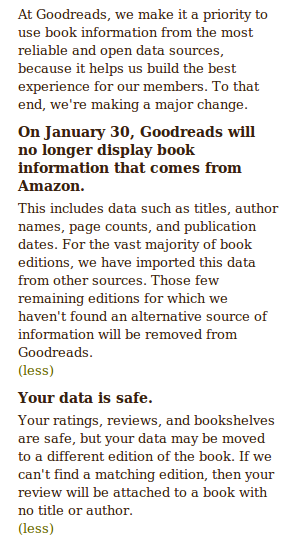 My theory is it's because they are starting to sell ebooks directly from Goodreads, so by using information from Amazon it is a legal issue. I agree, it is a pain. 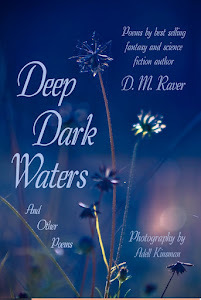 Our publisher has over thirty authors and they each have to do this individually to rescue their books. Thanks for this, Danielle. I checked and I don't get the Rescue page. 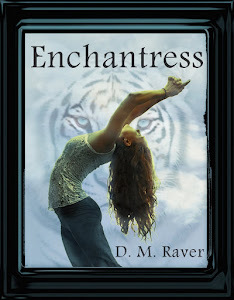 I think it's because I had listed Createspace as my publisher and for official URL, I put my blog address. According the discussion thread on Goodreads, the url has to be somewhere other than a book seller's website. If you are the author, you can just click the "I have a physical copy" and then you do not have to provide the url. Thanks so much Dani! Off to see if my book needs to be rescued.